Creative Jazz Club & Auckland Jazz Orchestra presents the JJA Jazz Awards Satellite Party. 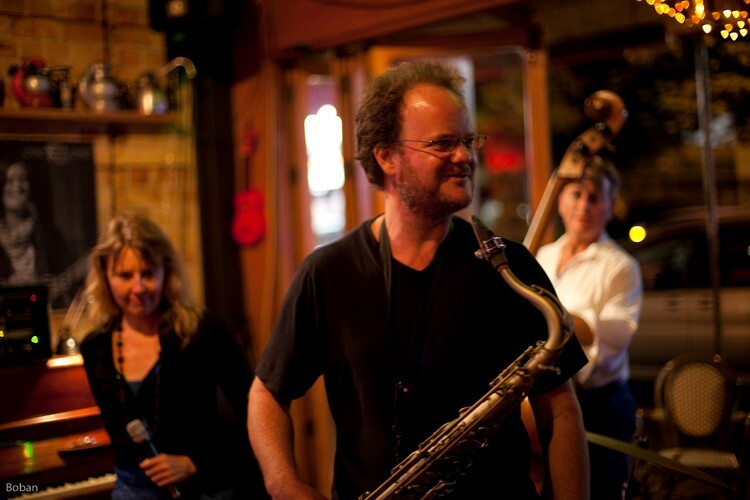 Auckland musician/saxophonist Roger Manins has been awarded a Jazz Hero Award by JJA, so to celebrate and honour New Zealand’s jazz heroes’, Auckland’s Creative Jazz Club (CJC) will be hosting the world’s first 2012 Awards Satellite Party at the Britomart’s Basement Bar also on Wednesday 20th June. The Awards will feature music by the Auckland Jazz Orchestra (AJO) and as New Zealand will be acknowledged at the New York Awards event, willing musicians and jazz fans should arrive early for photographs – to be posted on the Jazz Journalists Associations Awards official web sites. Don’t miss one of the biggest events on the jazz calendar! Creative Jazz Club (CJC) was set up two years ago by musicians Carolina Moon, Roger Manins and broadcaster Mark Robinson. Webmaster Ben McNichol and journalist John Fenton complete the team. Now a world class jazz club, CJC fosters and promotes the development of Auckland’s creative jazz scene by providing musicians with a dedicated performance space, nurturing emerging artists, and the programming of innovative local, national and international talent in its weekly Wednesday club night. Roger Manins won the Australian National Jazz Awards for saxophone in 2002 and this month, will receive a JJA Jazz Hero Award as international recognition of his outstanding musicianship and services to the community and education. Roger was born in Waiuku and currently teaches at the University of Auckland between touring nationally and internationally with various groups such as the Roger Manins Trio/Quartet, Hip Flask, Carolina Moon, Resonator, Manins Muller featuring Mike Nock plus a series of Trans-Tasman collaborations. Roger has released 3 CDs - Hip Flask, Trio and Latitude - and is recorded on more than 30 jazz albums with some of Australasia’s leading artists.